Richard Alexander Chapman, PhD, Research Scientist at the University of Texas at Dallas, has been recognized by Marquis Who’s Who Top Scientists for dedication, achievements, and leadership in physics, integrated circuit device technology, infrared sensors and thin-film transistors. Science piqued Dr. Chapman’s interest at an early age as he witnessed his father explore his own interest in astronomy. For Dr. Chapman, his interests leaned toward nuclear physics, and in 1954, he earned a Bachelor of Arts in physics from Rice University. He continued at the institution to receive a Master of Arts in 1955, and a PhD in nuclear physics in 1957. With this strong academic background, he began working at General Electric Vallecitos (now Vallecitos Nuclear Center) in California. From 1959 to 1987, he brought his skills to Texas Instruments, working as a member of the technical staff, branch manager and senior member of the technical staff in these years. He continued at Texas Instruments, becoming a fellow in 1987, a senior fellow in 1994 and a consultant in 1998. Dr. Chapman’s latest position has been at the University of Texas at Dallas. He joined the faculty at this institution in 2008 as a research scientist. In addition to these roles, Dr. Chapman has served as a governor advisor for the Rice University Board of Governors since 2008 and as the general chairman of Very Large Scale Integration (VSLI) Technology Symposium Program. He has contributed to more than 154 articles and professional journals and holds 42 United States patents, with an additional eight foreign patents. Not only have his achievements been in scholarly pursuits, but Dr. Chapman was a first-round draft choice of the Detroit Lions in 1954. 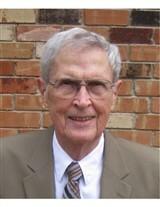 He was on the Academic All-American Teams from 1952 to 1953 and on the Cotton Bowl All-Star Team of the 1950s. In 2017, Rice University recognized him among the Distinguished Alumnus and he was inducted to the institutions Athletic Hall of Fame in 1997. Furthermore, he received the Jack A. Morton Award from the IEEE in 1987. In his career, Dr. Chapman has been a member of the visiting committee of the Electrical Engineering Department at the University of Texas at Austin. He was a part of the Board of Directors of the Cotton Bowl Athletic Association from 1977 to 1987. Furthermore, Dr. Chapman is a fellow is the American Physical Society and the IEEE. Dr. Chapman credits his success to his parents who taught him how to have a good work ethic, work with values and maintain integrity. Dr. Chapman has maintained the highlight of his career and life has always been his wife and family.